Greetings programmers! 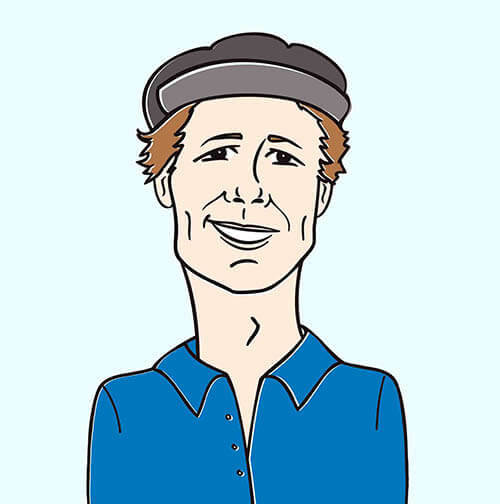 It’s Andy Gesner and the HIP Video Promo staff with an artist that truly needs no introduction, and, in fact, introducing him is a privilege in itself. Coming from Seattle’s most prestigious record label, Sub Pop, the founder, guitarist and singer of Dinosaur Jr., J Mascis has officially put out his first solo record. This is the first single titled “Not Enough” and features a softer contrast to J Mascis’s eardrum-demolishing guitar heroics. If there is a man who can continue to constantly reinvent himself, it is this indie rock legend. If you haven’t religiously listened to Dinosaur Jr., you have definitely heard of them and seen J Mascis on numerous magazine covers, including one cover of SPIN which simply stated “J Mascis is God.” Mascis is responsible for writing the classic rock staples “Freak Scene,” “Feel The Pain,” and most recently “Over It” (a HIP Video Promo campaign!). J Mascis has inspired many artists across the globe, including Kevin Drew of Broken Social Scene, who most recently got the chance to grill J about his inspirations in music as part of SPIN cover feature titled “Under The Influence,” where today’s successful musicians get to chat with the rock gods that inspired them. Having appeared on every music channel, every talk show, every major festival, and every music magazine, J Mascis’ fanbase transcends age and genre, and eagerly anticipates his every move. “Not Enough” is a total curveball for anything Mascis is usually know for, which makes it such a major collector’s item in his legacy. The track takes form of something that is mostly acoustic, featuring the singer at his most fragile. The album conjures up classic sounds ranging from English-tinged folk to drifty, West Coast-style singer/songwriterism. However, every track, every note even, bears that distinct Mascis watermark. “‘Not Enough’ feels like a lost hippie-harmony classic from David Crosby’s ‘If I Could Only Remember My Name,’” says Mascis about the song. The video channels a similar energy, featuring a fully hand drawn animation of various fantastic and colorful illusions. Mascis stars as his animated self, traveling through a constantly morphing universe which even includes a dog that swallows him whole and then spits him out as he tickles it from the inside with a toothbrush! This imaginative trip flows nicely with the low-stress attitude of the song, allowing in a sense of intimacy that is harder to accomplish on Dinosaur Jr.’s noisy sound. 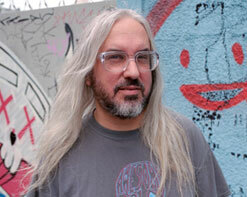 In “Is It Done,” Mascis returns to the basics of songwriting, the acoustic guitar. Stripped and bare, the song showcases the most vulnerable side of usually loud songwriter. Mascis’s voice is almost falling apart with honesty and every line, a sight any true Dinosaur Jr. fan would not ever get a chance to witness in this way otherwise. The track also shows off some of Mascis’s acoustic guitar chops. While it may be easier to hide behind layers of distortion, Mascis controls his instrument in the most intimate of settings with equal charm. Both videos are off Mascis’s first official solo record titled Several Shades of Why which is already making waves online and off since J Mascis performed it at SXSW this year and released it for public consumption this March. Mascis is currently touring Europe and then the States. The critics have eagerly greeted Mascis’s new sound with praise, with high regards from publications like SPIN and Pitchfork alike. Rolling Stone was especially thrilled about, featuring J as the one main focuses of their SXSW showcase. We are truly honored to be part of this high profile project and cannot thank the folks at Sub Pop records enough for bringing this video into our hands. We hope you join in celebrating the work of a rock legend and share it with your many cherished viewers. We’ve got lots of J Mascis stuff to giveaway here at the office, so be sure to reach out! You can also visitwww.SubPop.com and www.JMascis.com for tour dates and to find out more about J Mascis.